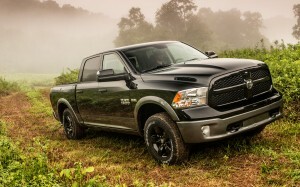 The Chrysler’s Ram 1500 has been named the 2013 Truck/Utility of the Year during the first day of the North American International Auto Show in Detroit, Michigan. The award is not sponsored by the Auto Show, rather given at the show. A panel consisting of 49 automotive review journalists from dozens of media companies select winner after a month-long process. This year 10 trucks/utilizes were selected to compete for the award and the jurors selected three finalists; Ram 1500 from Chrysler, Ford C-Max and Mazda CX-5. Due to the popularity of crossovers, utility trucks were added for the first time. The Ram 1500 has undergone an extensive update for 2013 including a new powertrain with Pentastar V-6 and an 8-speed automatic transmission in a full size pickup. Other improved features include weight-cuts and aerodynamic that boosts the mpg. The award is unique for the Ram 1500 because it is awarded by an independent group that is not sponsored by any for-profit group. It will be used extensively for advertising. The Ram 1500 also won the Motor Trend Truck of the Year Award. This is the third time that Chrysler won the car or truck of the year award.